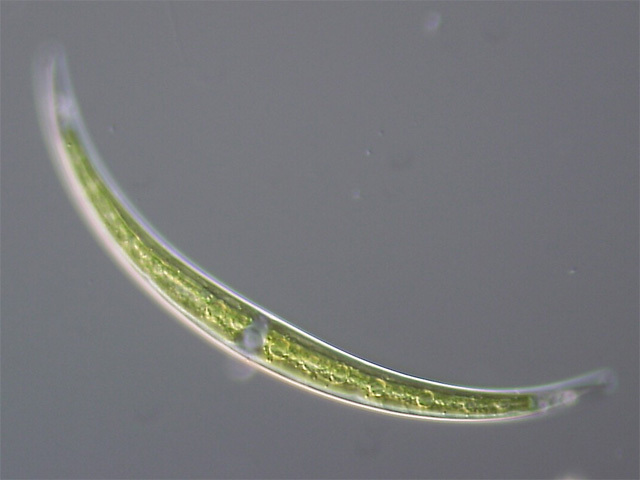 Closterium is a type of green algae found mostly in fresh water. 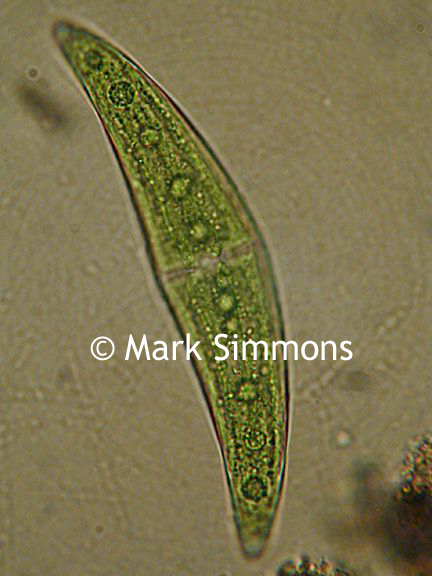 Closterium are typically cylindrical and/or crescent-shaped without a spine. The ends of the cell are usually tapered and may be either pointed or round. Image captured under a biology microscope courtesy of Mark Simmons. Polymers in the cell wall may help protect the cell from drying out and allow them to survive for months in environments such as dried mud at the edges of lakes. Closterium moves in a somersaulting motion by secreting mucilage from alternating ends of the cell.